The state cyber crime police today claimed to have busted an inter-state gang which had cheated a number of banks, particularly the Federal Bank, of crores by using a unique way of operating ATM cards. 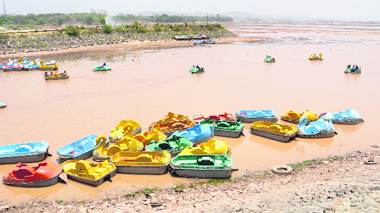 Due to the depleting water level at the Sukhna Lake, the Chandigarh Industrial Tourism Development Corporation (CITCO) has stopped using four-seater boats for boating at the lake. As the UT Administration is yet to start work on initiatives on power reforms to boost e-governance in the working of the electricity department, the Centre has warned the Administration that it can withhold the grant of around Rs 15 crore in case deadlines on the implementation of power-sector reforms are not met by the Administration. Dog hostels here have proved a boon for owners of pets, who usually find it difficult to leave their pets at home while going out on holidays. 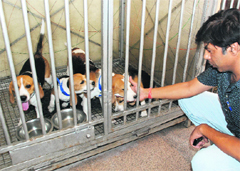 With more people preferring to visit distant places during vacations, space at dog hostels has started falling short of requirement. The UT consumer Disputes Redressal Forum has directed a finance company to pay Rs 25,000 compensation for causing financial loss and harassment to a complainant who wished to invest his money in shares. A clash between the supporters of the two student organisations of DAV College was averted today with the police reaching on time to disperse the students before the situation could worsen any further. While allowing the complaint against Omaxe limited for delay in construction of a flat, the UT district Consumer Disputes Redressal Forum has directed Omaxe limited to pay penalty at the rate of Rs 5 per square feet of super area per month from the date they received the amount till the actual possession of the flat is delivered. Relatives of a patient who died during treatment at the PGI Emergency protested in front of the director’s office on Wednesday. The relatives of deceased Rai Singh (28) alleged that he died soon after doctors administered an injection. Alleging negligence on the part of doctors they lodged a complaint with the local police also. 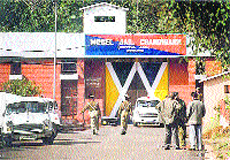 The UT Administration is all set to connect Burail Jail through video-conferencing with the new District Court Complex in Sector 43 and with Tihar Jail. The senior officials of the Administration are claiming that they will start this facility in the first week of July. 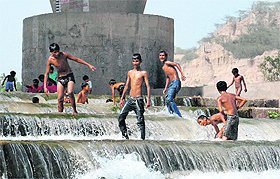 Despite the Panchkula district administration asking people not to enter Ghaggar river, one can see residents, especially children, taking a dip in the river. Ghaggar has turned into a swimming pool. 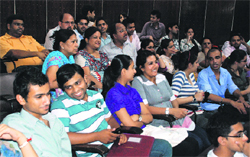 The District and Consumer Disputes Redressal Forum-I slapped a fine of Rs 30,000 on city-based Cosmo Careers Ltd for its failure to provide study visa for the UK to a Ropar resident. Fancy lights, installed by the Greater Mohali Area Development Authority (GMADA) at a cost of Rs 1.25 crore, now adorn the centre verge of the recently widened shopping street of the town. An employee of the local municipal corporation, Navin Pandey, reportedly attempted suicide last night after he a show-cause notice was served on him. Giving details, Pooja Pandey, wife of Navin Pandey, a clerk in the corporation, claimed that her husband was under depression. 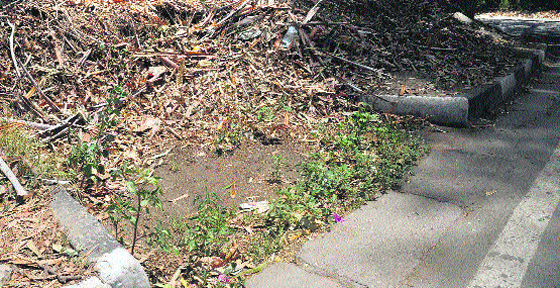 The Mohali municipal corporation is gearing up to earn a revenue of about Rs 10 crore through advertisement tax even as the civic body has decided to remove all signboards put up in greenbelts in various areas as these create a visual pollution adversely affecting the beauty of the town. on one of the most advanced vegetable and fruit markets will be completed by November. The market will come up at Phase XI. This was stated by Ajmer Singh Lakhowal, chairman of the Punjab Mandi Board, after taking stock of the ongoing work at the site here today. The Catholic Community of the Simla Chandigarh Diocese along with its head Rev. Dr. Ignatius Mascarenhas paid tribute to Bishop Emeritus Gilbert Blaize Rego, the first bishop of the Simla Chandigarh Diocese as he passed away on June 21 at Clergy Home, Bandra, Mumbai. He died of long illness at the age of 92. Is MC overlooking the monsoon? 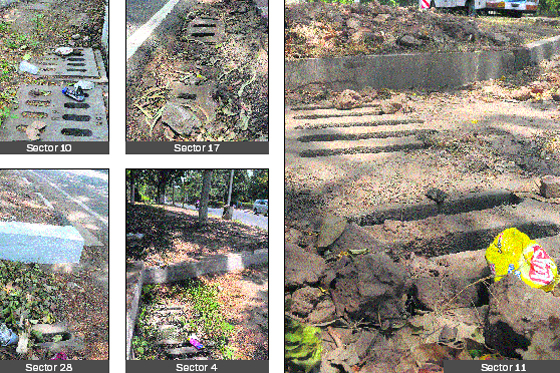 Pictures of blocked trenches filled with dry leaves, litter and mud captured by The Tribune lensman S Chandan expose the lackadaisical approach of officials concerned. 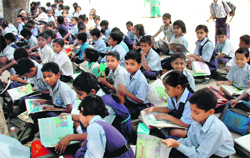 While the teacher strength in UT schools has not even increased by 10 per cent in most of the cases, the number of applicants at both primary and senior secondary level has gone up by 40 per cent this year. While the counselling for admission to the University Business School at Panjab University started today, the admission under the ‘single girl child’ category was postponed due to a complaint by one of the candidates who had applied under this category. Students who wish to pursue PhD in Indian Theatre at Punjab University have a reason to cheer as the university has decided to allow researchers to pursue research in Hindi and Punjabi languages in addition to English. Earlier, music was the only subject that had an option of writing the thesis in all the three languages. Professor RK Kohli of Panjab University, who is also the Dean Research, has been selected for the JC Bose Fellowship by the Department of Science and Technology, Ministry of Science and Technology, Government of India. The State Vigilance Bureau, Ambala, has nabbed an SDO of the electricity department on the charge of taking bribe from a farmer. Two incidents of snatchings and vehicle thefts were registered today. Nitu Negi, a resident, alleged that the occupant of a motorcycle sped away after snatching her purse containing Rs 4,000, an ATM card, PAN card and a cheque book, while she was coming from Sector 15. A clash took place between supporters of PUSU and SOPU near the law auditorium at Panjab University in evening today. The police arrested a student Rishabh, a PUSU supporter, under the case of causing hurt and criminal intimidation while three of his accomplices are absconding. A case has been registered in Sector 11 police station. The UT sports department will organise a swimming meet at All- Weather Swimming Pool (yoga centre), Sector 23, from June 26 to 28, here. 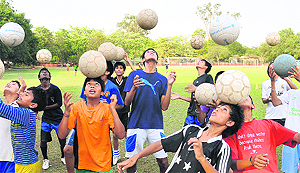 The competition will be held in sub-junior and junior categories. Position holders will be given cash prizes. Millennium Cricket Academy, Mohali, defeated Bharti Cricket Academy during the Junior Cricket Cup for Boys (U-14) held at DAV College, Sector 10, here today. The winning side scored 122 runs. Bowler Abhishek guided the team to victory after taking 4 for 9, including a hat-trick. Batting first, the MCA scored 153 runs after losing six wickets. 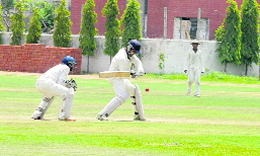 After scoring a double ton in the Punjab State Inter-District One-Day Limited Over Matches, batsman and skipper of Chandigarh team, Jaskaranvir Singh, continues to spread his charisma after scoring 201 runs in the ongoing Dhruv Pandove Cricket Trophy (U-19) being played at the LIC Cricket Academy, Sector 26, here today.